An ornate tile design on the floor adds a touch of class to the bathroom, creating a rich focal point. Consider a set of tiles that form a geometric pattern on the floor with this design option. Or you may opt for a set that creates a singular image. Alternatively, a uniform tile set for the walls and a simple, matching design for the floor will give your bathroom a cohesive aesthetic that results in an elegant and calming ambiance. The key is finding the right tile pattern. Through our bathroom remodeling services, you can find a set that reflects your personality and complements the other components of your home’s design. A variation of the uniform design, choosing tiles of the same color but in varying shades throughout the bathroom will provide visual interest without overwhelming the eyes. This works great in bathrooms that get a lot of natural light, as the sunlight will further illuminate the variations of color throughout the tilework. At the end of the day, going with a simple design of plain, clean tiles gives you plenty of legroom to focus on the other aspects of the bathroom. For example, if you’re planning on conducting a bathroom cabinets refacing project, having a simple yet tasteful tile design will let you get creative with the finished cabinets. 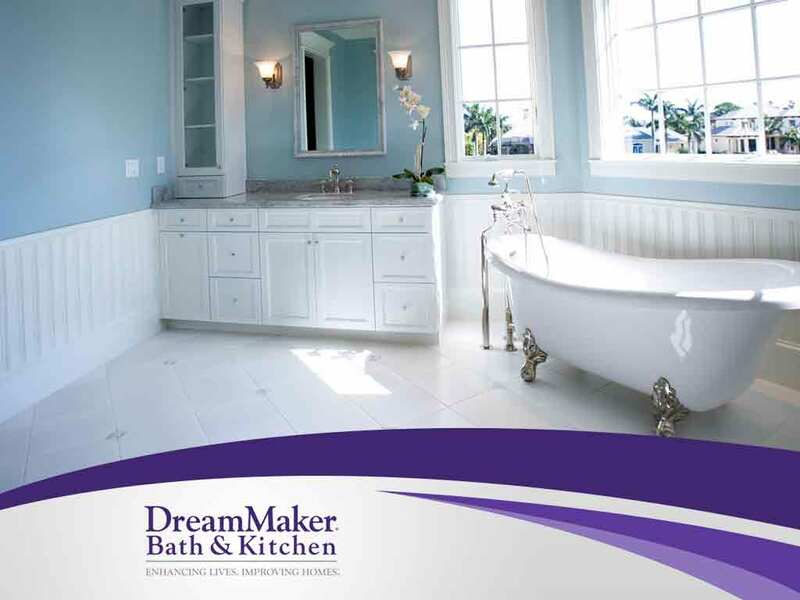 DreamMaker Bath and Kitchen can help residents of Glastonbury, CT, with their bathroom remodeling needs. We are a faith-based organization dedicated to providing our clients with quality service guided by our code of values. Find out more about us by calling (860) 665-8094, or fill out our contact form.